We have today submitted the following response to the Horsham Town Centre Vision consultation. Important note: West Sussex County Council are currently working on a feasibility study on contraflow cycle routes within Horsham, so we see it essential that HDC co-ordinate with WSCC over this as part of the Town Vision project. There are some welcome comments in the SWOT analysis recognising that there are currently ‘weak cycle routes and….connections’ and that there’s a need to ‘improve cycling facilities’. However, there are no plans to make that happen. This is a major omission from the Town Vision proposals. We propose that the ‘Strategic Direction’ should include an aim to ‘make Horsham a cycle friendly town’ in order to increase town centre visits (and for the health benefits and reduced congestion this would bring). This will need a comprehensive cycle plan to achieve it. This is a town vision after all. The Lynd Cross/Bishopric area is a key travel point, with people wanting to walk and cycle both north/south and east/west – so the area has a ‘travel’ function as well as a shopping/meeting function. It is most important to include cycle routes north, south and east as the area is being resurfaced. Cycling is legal in the area (except for West Street), so it will happen. However, the current options in the consultation will cause further conflict between people on bikes and those on foot – with no clear route for bikes there will be confusion about where to ride. Well-designed cycle links in this area would both encourage people on bikes into the town centre and allow many to avoid Albion Way altogether, improving safety. We therefore propose that clear 3-metre wide cycle tracks be laid out across the area as shown below. 3 metre-wide cycle tracks north/south and east/west across the area. Tracks to be in a contrasting colour with gentle kerbs as a clear visual queue for pedestrians. This will reduce conflict with those on bikes. 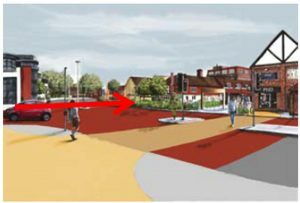 Changed junction at bus station to allow bikes to join/leave Blackhorse Way. 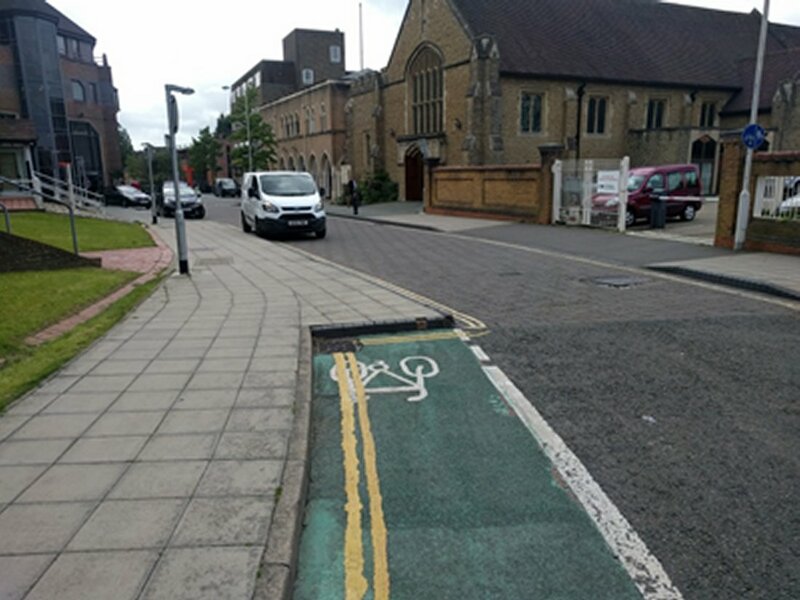 Improved link to cycle track on Springfield Road (see below). Cycle crossing over Albion Way from the Bishropic (westbound) – parallel to (but separate from) the pedestrian crossing. New cycle/pedestrian crossing over Albion Way from Freshwater Parade (north side) to the Olive Branch pub, joining the Lynd Cross east/west cycle track. Cycle ‘sliproad’ from Albion Way to the Olive Branch pub and east/west cycle track. New cycle parking stands around the Lynd Cross area. A new very short length of cycle track would make an easy transition to the pedestrianised area for those riding south along Albion Way and should link up with the east/west Lynd Cross cycle track. This would encourage people on bikes into the town centre. The wide carriageways and pavements give space for segregated cycle tracks on both sides, on the pavement side of parking spaces where necessary. Some parking spaces could be converted into a ‘parklet’ where seating could be placed, encouraging people to linger near the shops. Such changes have been shown elsewhere to increase trade in local shops. 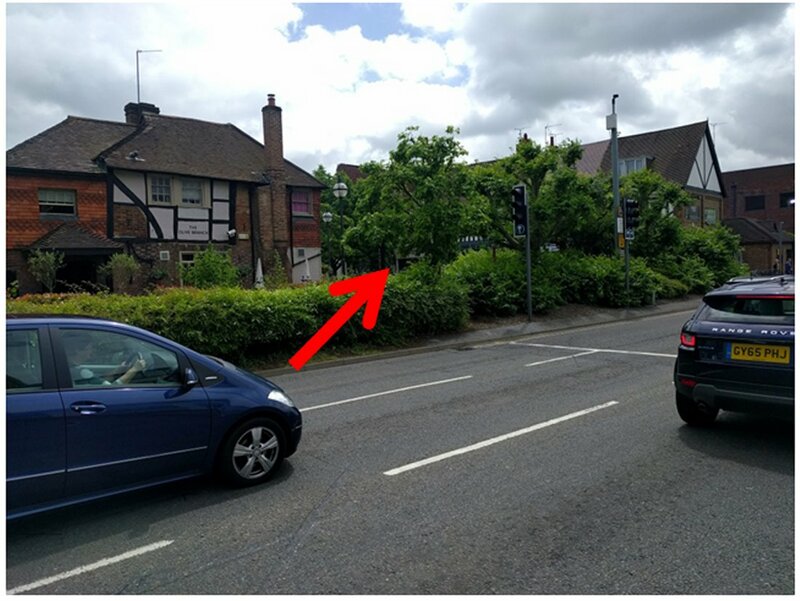 The existing contraflow cycle lane in Springfield Road should be extended (with a safe crossing at the exit from the service road) to link up to the north/south cycle track over Lynd Cross. This could be the key east/west cycle route across town, since cycling is not permitted in West Street. Making the road one way with contraflow cycling, plus improving the link into Lynd Cross at the bus station would be key to achieving this. This road has the potential for the approach well known in the Netherlands where cars are ‘guests’. (See http://www.bbc.co.uk/news/magazine-23587916). 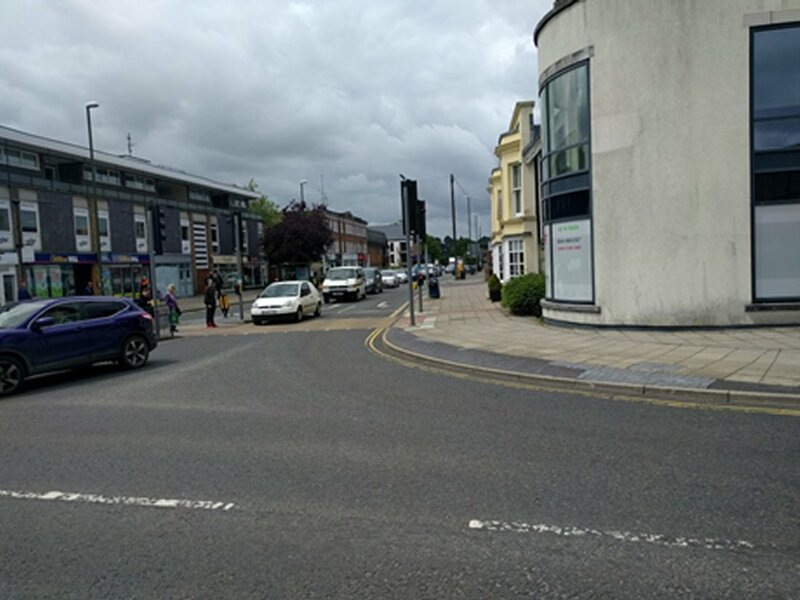 These proposals should include improving the cycling arrival in the area and the introduction of a permissive north to south cycle route on the East side of the Carfax. 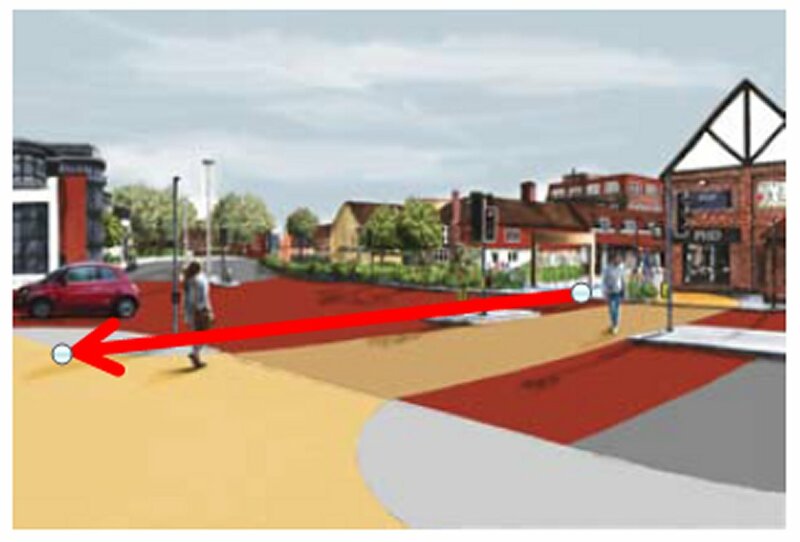 The Vision notes that “the links between the town centre and Horsham Park are poor and need improvement…” These must include improved cycle crossings of the Albion Way. The exhibition board reports that proposals are being sought “to enhance the pedestrian arrival from the Carfax and North Street”. But why only pedestrians? These proposals should include improving the cycling arrival. The Piries Place development and consequent resurfacing means that the route from Copnall Way to Park Place needs to be included in this Town Vision. This entirely coincides with the vision to redefine and re-establish its role in the Town centre and so the cycle route must be included in this Town Vision. In Queen Street the Vision is short of a vision. There need to be segregated cycle lanes to allow easy and safe (non-car) connections to and from East Street – this could be achieved by using the full width of the highway, reducing vehicle lane widths and removing on street parking in places. Cycle parking is also needed. This would increase visits to both Queen Street and the town centre and benefit the local shops. The Town Vision has no proposals on the Hurst Road strategic site that Horsham District Council has been attempting to obtain over a number of years. 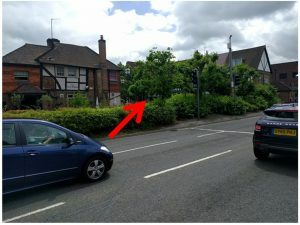 How can the Town Vision ignore this significant development? The Vision needs to bring this into being part of Horsham, how it connects, how it serves the needs of the community other that providing more dense housing. What is the vision? The Sainsbury’s car park proposal is far too early to comment upon. 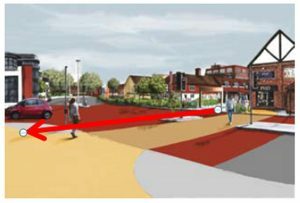 The proposals are sketchy and unclear and must be subject to full consultation that defines and prioritises cycle routes across and around the area, cycle storage and access from the roundabout. That is before commenting on the loss of trees and the waste of a very serviceable, well used, attractive and relatively new library building. Why does a Town Vision aimed at improving Horsham contemplate destroying such features and benefits? The logic and desirability of this development is not proven and should be discussed as means of resolving the elephant-in-the-room: access to the John Lewis/Waitrose development. The Town Vision exhibition cannot be mistaken for public consultation on this critical area. The Vision needs to explain how cycling provision is to be provided in the old Novartis site and critically, how it links into Horsham, probably incorporating the Hurst Road strategic site. What is the vision? 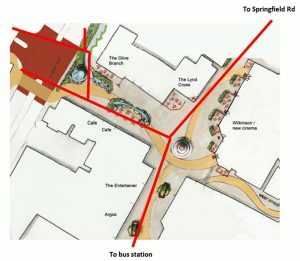 The Cycling Forum would be very willing to meet with the Town Vision team to discuss these proposals in more detail.